If you are all about charging on the go then these deals from AUKEY are going to feel right at home. It’s a chance to save a lot of money on high-quality mobile accessories. Though we take accessories like car chargers and power bank for granted, little do people realize that they can actually take us a few miles extra when all hope is lost with regards to power. 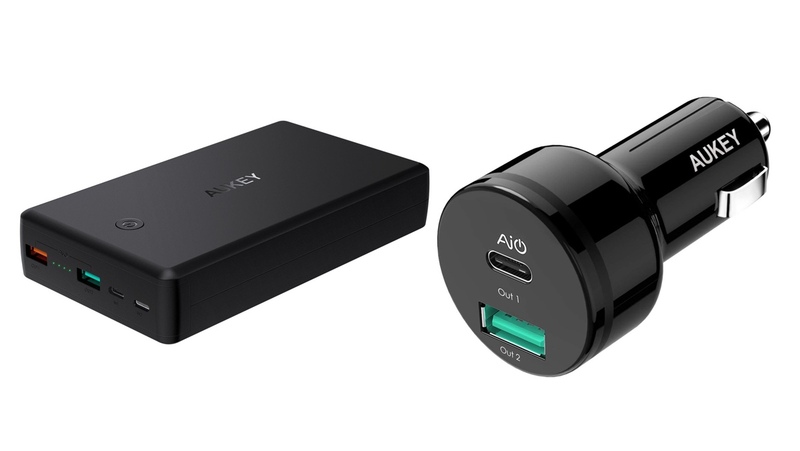 Today, AUKEY is offering a couple of deals which are all about charging up mobile devices, and included in the bunch is a massive 26500mAh power bank and a USB-C car charger. So, what is so special about these products? Let’s have a look at the power bank first. It has a massive 26500mAh battery inside which is good for about 10 iPhone charges and will even charge an iPad a couple of times. But that’s not all, it has two inputs for charging the battery pack itself – one is a microUSB port while the second one is Lightning. The latter is important as it grants you the freedom to never ever worry about carrying a microUSB again if you are explicitly an iPhone or iPad user. Just use the same cable to charge up the power bank itself. The car charger, on the other hand is a nifty one. It features a fast USB-A port that can pump out 12W of power where necessary alongside a USB-C port that is good for up to 15W. While that USB-C port will not fast charge an iPhone, as it requires 18W of power, but it is close enough. However, compatible devices like the Nexus 5X, Nexus 6P, Google Pixel will juice up just fine. If you are interested in both these products, then simply hit the link below. Both of these deals are good till the 20th of this month, giving you ample of time to pick up anything that you like.